We were back from our unscheduled, but much needed, break this week. 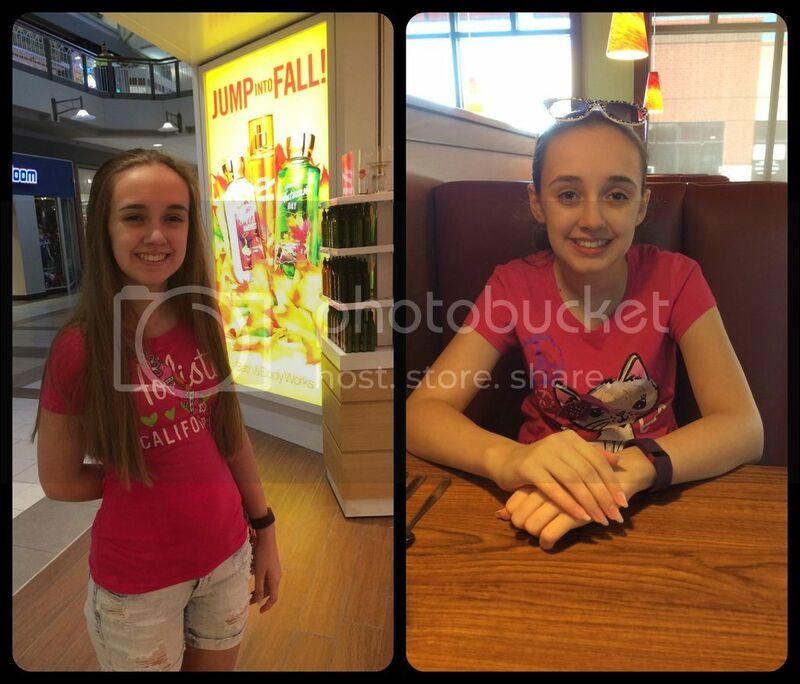 Amber was refreshed and even enjoyed a fun afternoon with her cousins on Sunday. We attended church with my mom and my nephews, who were staying the weekend with Grandma, then after lunch Amber and I met up with Mom and the boys at Myseum for an afternoon of children's museum excitement (see post). It was Amber's first time visiting. Although she was quite tired, Amber did well with all the activity and it was an expected type of tiredness. Monday she made a great start to her school week as well. 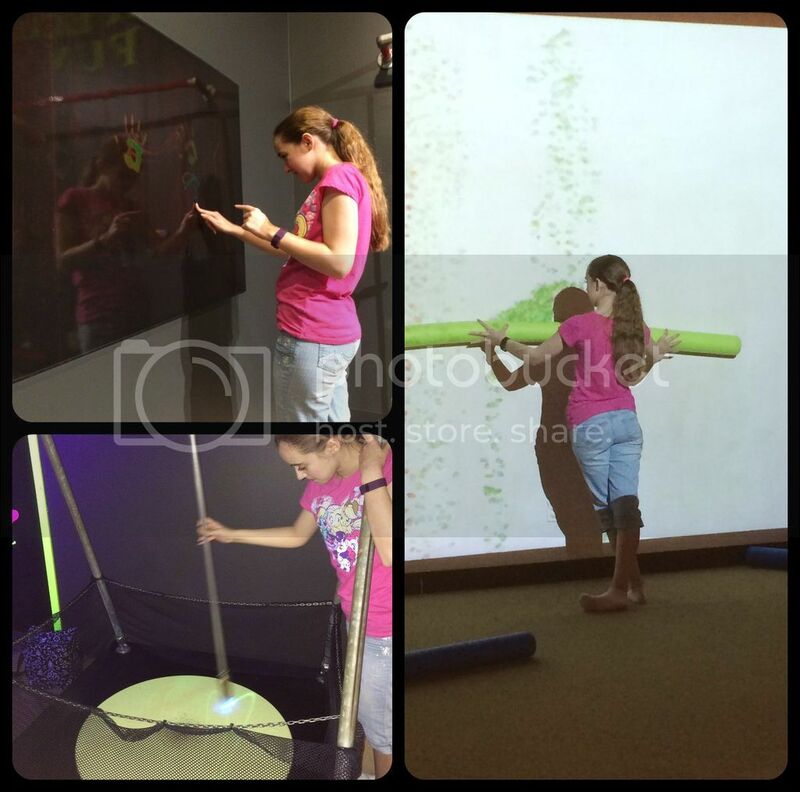 Again all items scheduled were completed along with her full hour of physical therapy for EDS. The therapy never fails to exhaust Amber, and we are thankful it is in the mid-afternoon so as not to entirely disrupt our school day. Tuesday Amber woke up not quite right. She was lethargic, pale, and somewhat confused. We are now able to recognize these as symptoms of a dysautonomia flare. We tried to take it easy over the course of the day to minimize the length of the crash. Amber still completed quite a few subjects, even if they were all review crew items. I am proud of her perseverance despite clearly feeling ill. The rest of the week was a combination of regular activities, a few lessons per day, and rest to bring Amber out of her flare. While Amber is not always as peppy and positive about her lot in life as people think, she is adjusting to living a life with chronic illness. Even 6 months ago she would have skipped confirmation class on a week like this one in favor of scheduling a private make-up class. Instead Amber went to the scheduled evening class, completed the weekly test, took notes during the lesson, and even chatted with a friend afterwards. Of course she had no color left in her face and fell asleep on the way home from church, but she put forth so much effort too. (Left) Today running errands. (Right) Tuesday after a single errand. I took her out to lunch Tuesday because our errand was nearby and she was hungry right then. I've been so pleased lately to see Amber become more involved in not just the subjects and types of assignments we choose, but the actual curriculum selected too. When she was younger, Amber simply did the assignments I put forward. If I asked for feedback on a curriculum, she generally only complained if the curriculum was not a good match at all. But of course, I usually already knew that. 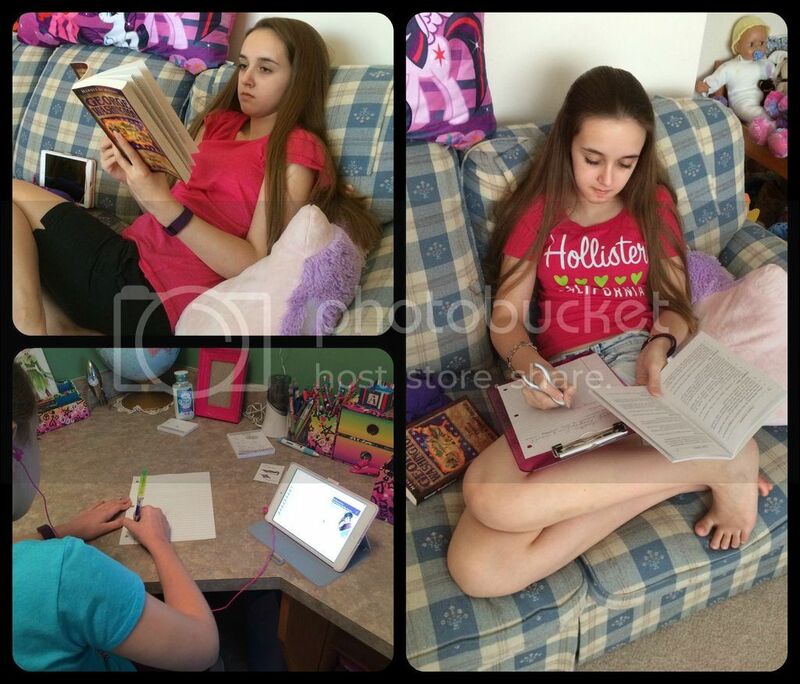 This past year being on the TOS Review Crew has shown Amber the breadth of homeschooling products available and given her experience with a wide variety of products. She's also learned to give her opinion in a more detailed fashion. Just this week, she specifically asked me to look into a product her Greek and Roman Technology co-op class is utilizing. Her exact words were, "I learn this way. I didn't think I would, but this is how I learn." I had been a little concerned about how she'd like the class as a whole. Some of the other students find the lesson portion a little boring. Come to find out, her class is using what is considered a college level resource from Great Courses, taught by a West Point professor. All of which probably explains why Amber likes it so much. Our library has a few of the DVDs, and I'm looking into additional options on the Great Courses website. Still, I'm not sure if Amber simply likes the style of the lecturer for the course her class is using, or if most of the Great Courses DVDs will be such a huge hit. Not a lot of school this week; History, poetry, and her new spelling were all adaptable to her capabilities. I was introduced to fantastic Classical online schooling option this week as well. Wittenberg Academy is an entirely online school providing a Lutheran Classical Education. It's even an accredited school and a recognized service organization of our own Lutheran-Missouri Synod! How did I not know this school existed? We have friends from homeschool co-op and church who's children are taking a few courses through Wittenberg Academy and they are extremely pleased with the rigorous quality of the courses. I've been doing my own research into Wittenberg Academy as well. While Amber's health will make it very difficult to keep up with scheduled online classes, Wittenberg utilizes mostly asynchronous lesson instruction. Wittenberg offers mostly high school level courses, and runs in four terms - three during the normal school year and one over the summer. Although I will definitely need to speak with the head teacher at Wittenberg Academy about our situation, we think Amber might enroll for a class later this school year. We are considering Logic I in the third term this year, or perhaps the first term next year. Amber will not become a full time student with Wittenberg Academy, but it looks to be a great alternative resource for us to use on occasion. Our girl cat, Rosetta, has been extra cuddly and adorable this week. These two siblings are still very attached to each other at 2.5 years old. Our 4.5 year old boy just doesn't get the same amount of kitty love. We also found a wonderful new pen which greatly assists Amber in preventing hand pain when writing. Her finger joints are extremely loose and she's been feeling an increasing amount of pain when using her hands. We purchased a single Ergo-Sof pen from PenAgain for Amber to try. She says it keeps her from needing to squeeze the pen too tightly and lets her hold the writing utensil in a natural way. I foresee we will be making additional purchases. Now, to just find a mechanical pencil that's easier to use. We intend to have a restful weekend here and then start again on lessons next week with hope for progress. That's great that she recognizes how she learns and that she didn't expect to do well with that approach. Love that! My oldest son loved Great Courses when he was in high school. He took about 5 of them. We had to supplement because of his disabilities, but he always looked forward to the next lecture. I forgot about that pen (or one like it). My oldest used that as well. I should try that with Dean, his thumb muscles do not work properly because of the CP. Thanks for all the lovely reminders. Those great courses look interesting. I like the Myseum. We have a place with the climbing structure but one of the ways up has platforms farther apart allowing even adults to get up with a little bit of contortions. I'm glad Amber was able to enjoy the museum! Her determination to keep going and trying not to let her health concerns deprive her of a happy, fulfilling life are admirable! My husband loves The Great Courses!! Have a great new week, you guys! I was interested to read about the pen. I have just seen I can buy them through the UK Amazon, so I may give them a try for my son. Thanks for sharing! Stinks she had a flare this past week but the fact that you all recognize the symptoms and can deal with them is a plus. 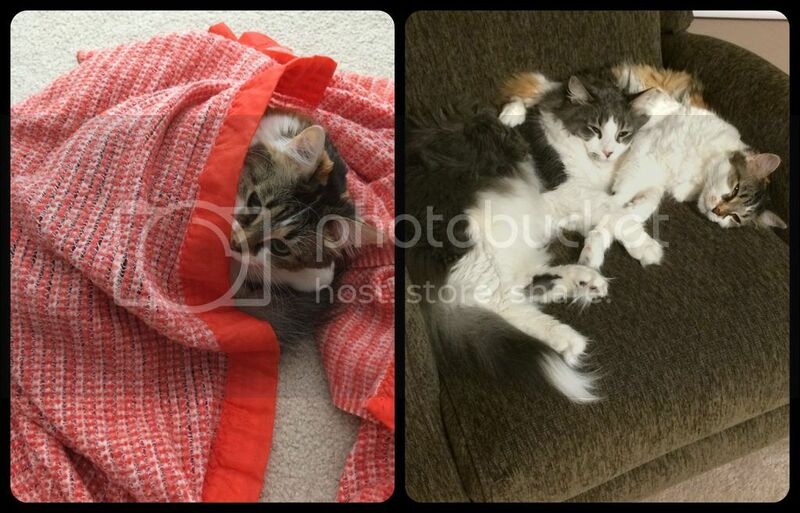 Love the pictures and the cats are SOO cute!